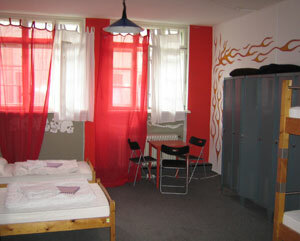 Hostels Alessandro are renowned for their safety, cleanliness and comfort. All of our hostels are located in a safe and central area right next to Termini train station, which acts as a central point for the exploration of the most beautiful piazzas and ancient ruins that exist in the world. With our clean and friendly environment, Hostels Alessandro are among the best in Rome. The international atmosphere and our english speaking staff, make the Alessandro Palace Hostel, the Alessandro Downtown Hostel and the Alessandro Indipendenza Hostel a haven for backpackers from all over the world. Terry´s Walking tour. Showing you the best of Berlin. Kasatobalaba is a friendly and familary hostel and residence. Our house is situated in the best area of Providencia and only 2 minutes to the subway and public transport outside the house. We recive chilean and foreign student for days, weeks or months . Kasatobalaba is located in San Pio X 2441; Providencia, one of the best and safest place to live in Santiago. Near the house you have supermarkets, banks,cinemas, pub, restaurants, etc... and you have a nice place to practice some sport as run o ride bycicle.Staying in Kasatobalaba is the best choice for students wishing to share a youthful environment where they will find a perfect place to study and also the opportunity to meet students from Chile and all over the world. Our house are provided of 13 rooms of diferent sizes (single or double)and sharing a common kitchen,furnish for cooking , and toilets. Internet access are included in the price. We have swimming pool. Amenities internet free; wash service; clean service; internet al rooms(optional); travel agency. Our hostel is the perfect solution for those seeking peace and quiet, something hard to find in the chaos of a big city like Milan. In fact, thanks to location, near the Tangenziale East and Piazza Loreto (City University), you can reach easily by subway and / or media surface, all the main areas of Milan: the Cathedral, the Sforzesco´ Castle, the Fiera Milano in Rho Pero, etc. he “Palmento di Gilferraro” was an ancient family wine production factory has beenrenovated as Etnalodge in Mount Etna Nature Park at the foothills of Europe’s largest active volcano. It is an ideal resort for romantic tranquility, family vacation, cultural tourism and trekking in Mount Etna Nature Park. Guests are hosted in the South Wing Suite and in the Rooms. It is close to Piedimonte Etneo, a rural village of Sicily not far from Taormina and the Mediterranean Sea. The view stretches from the coast of Calabria, to Taormina and the seaport Riposto, and to Mount Etna. The beach is 8 km downhill.